Milikini Failautusi is a 27-year-old youth activist from Tuvalu working in the areas of youth, climate change, gender, human rights, indigenous rights, and sexual reproductive health and rights. 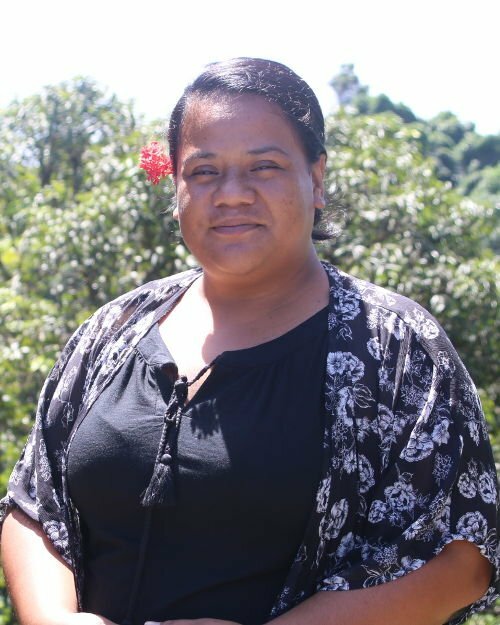 As the coordinator of the Tuvalu National Youth Council, she advocates for Tuvaluan youth in the country’s development agenda, and also works closely with the Pacific Youth Council on issues facing Pacific’s young people at the regional level. Milikini is also a member of Pacific Young Women Leadership Alliance, which works to empower young women around the Pacific on issues affecting them. While she is deeply respectful of traditional culture and acknowledges the important role it plays, Milikini has been unafraid to take on long-standing cultural norms that stand in the way of progressing gender equality in Tuvalu. Milikini has been pushing for gender equality on a number of fronts in Tuvalu including equal participation of women in government and leadership, equal wages for women, and calling for a stop to domestic and gender based violence. This portrait of Milikini Failautusi was first published by the Pacific Community for the 70 Inspiring Women campaign, it is reproduced here (with some modifications of our own) with their permission.